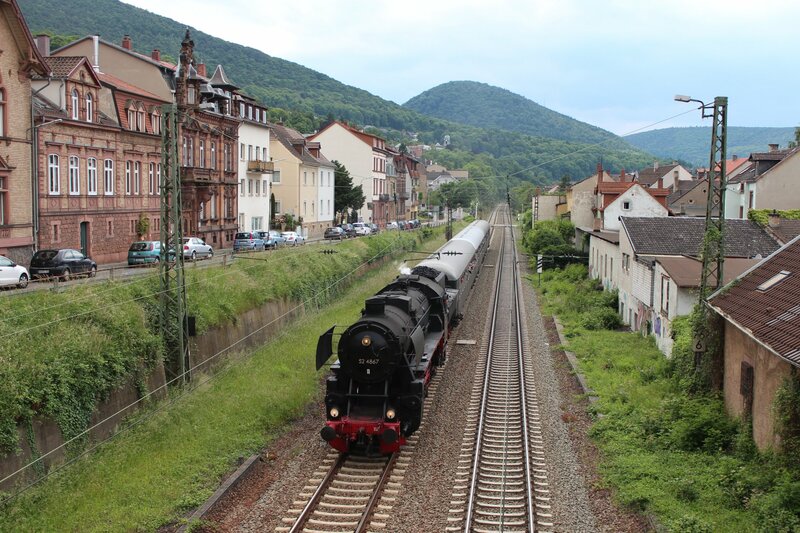 For the last four days I have been chasing steam locomotives across the countryside of the Rhein-Neckar network in what may be the swan song of the classic German Plandampf. 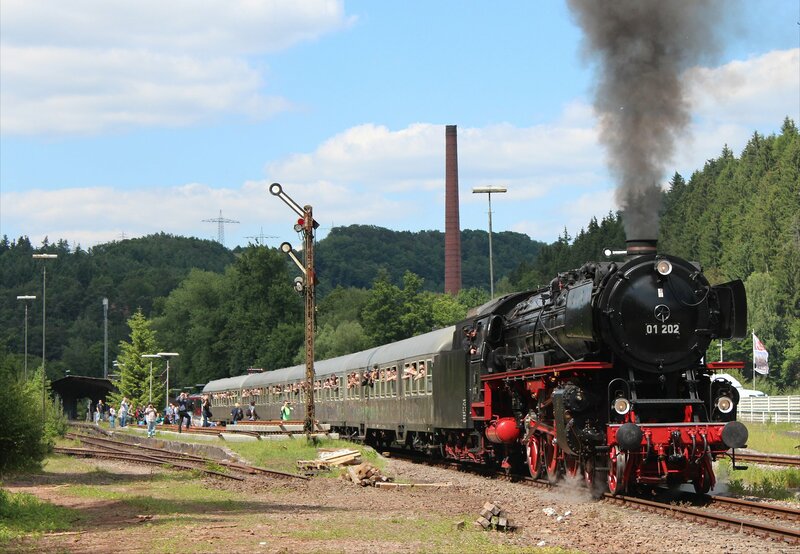 The concept of Plandampf emerged in Germany during the early 1990s with the idea that enthusiasts could club together to pay for steam locomotives to replace diesel/electric locomotives on timetabled passenger services and scheduled freight trains. 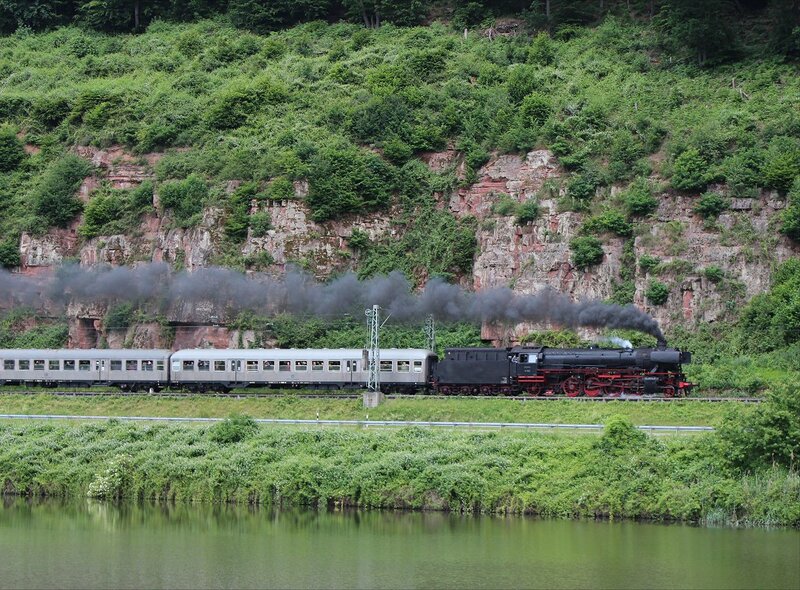 The beauty of the concept was that it offered the chance to get much closer to ‘real steam’ than is possible on a preserved heritage lines. Not only that, but you could bring steam back to the people and really show these locomotives at their best on long stretches of line. However, the difficulties of funding and changing legal environment, particularly with regard to liability, have made it increasingly difficult for groups to run such events in Germany. Inevitably, the cost of running such events have grown substantially. 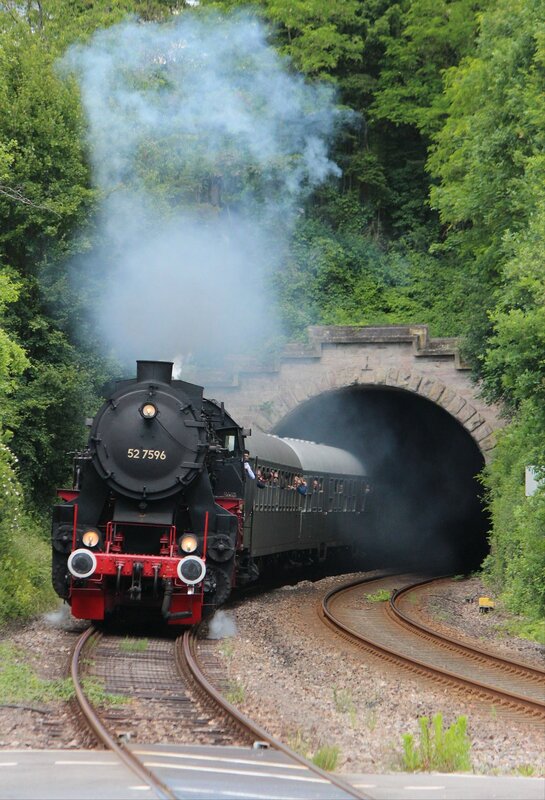 In this context, it was all the more welcome to hear that the federal state of Rheinland-Pfalz and the Verkehrsverbund Rhein-Neckar (VRN) were to fund a five day event to celebrate twenty-five years of the VRN and twenty years of the Rheinland-Pfalz-Takt. 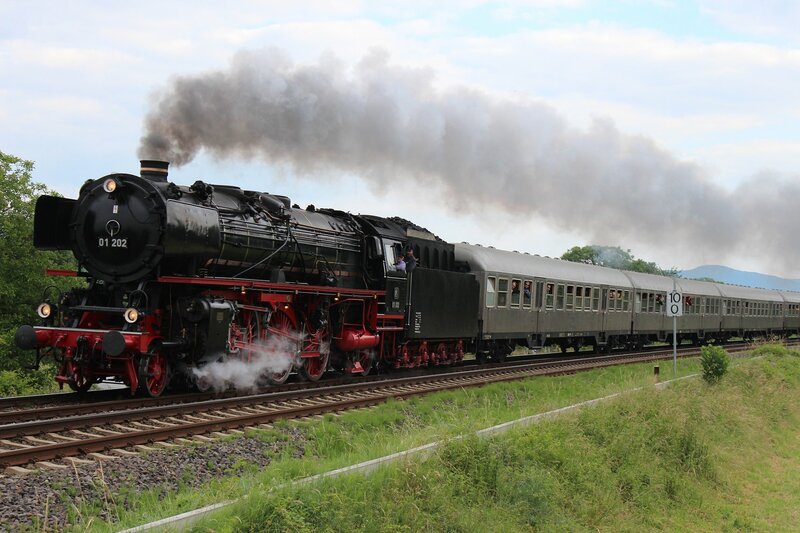 This event differed from the traditional Plandampf in one respect – the steam locomotives would not be replacing timetabled services, but would be run as supplementary services with sufficient time built in for the locomotives to run round. 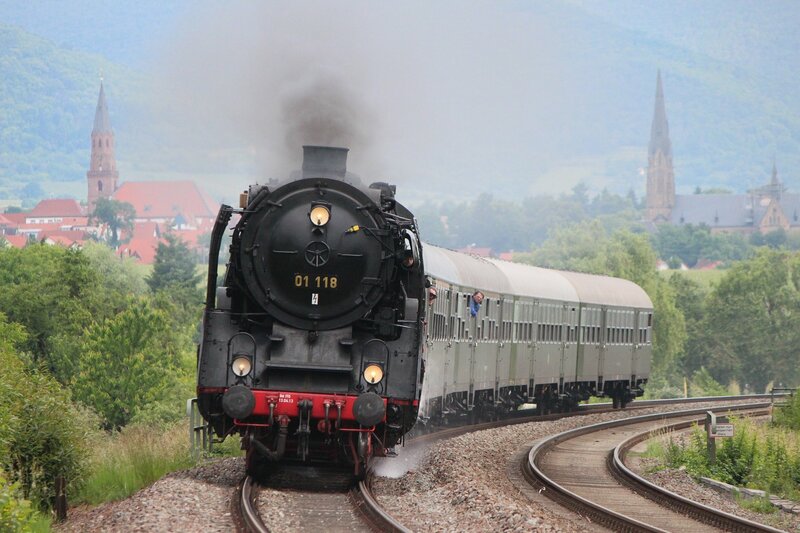 Astonishingly, there was no additional charge to ride on these trains – you just needed to buy a standard ticket for the railway and had the choice of steam runs at your disposal. On this occasion, eight steam locomotives hauled services across the VRN network – two class 01 Pacifics (01 118 and 01 202), two class 41 goods locomotives (41 018 and 41 360), three class 52 kriegsloks (52 4867, 52 7596 and 52 8134) and a class 58 goods locomotive (58 311). A third pacific (01 150) had been lined up to participate but was sidelined by mechanical failure. 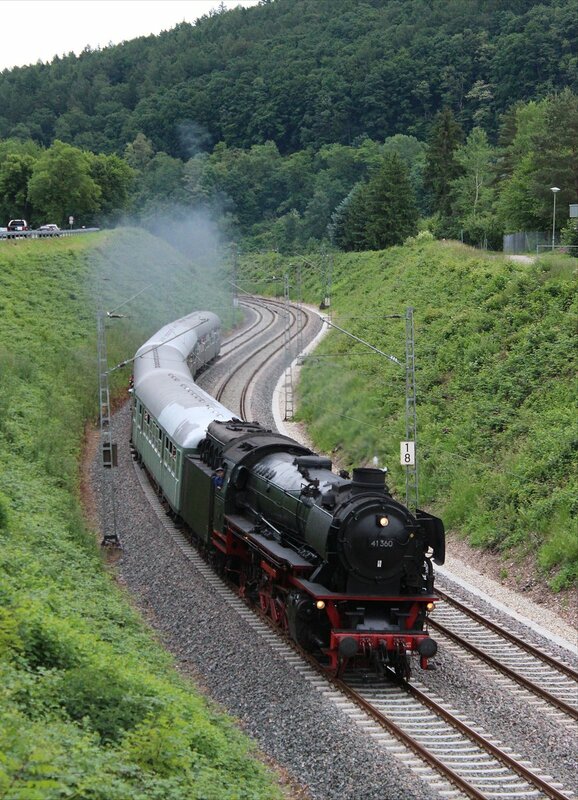 No one could fail to be impressed by the fleet of locomotives gathered for the event. 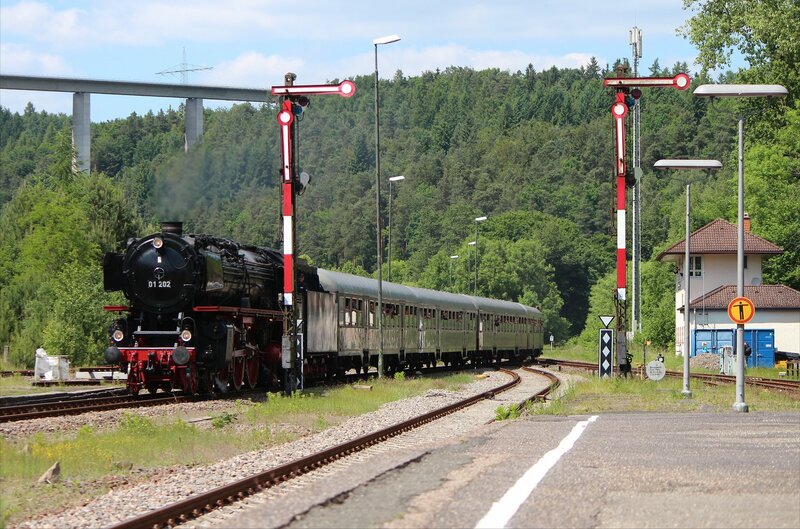 The lure of the ‘Dampfspektakel 2014’ proved irresistible to rail enthusiasts and photographers from across the world, including me. 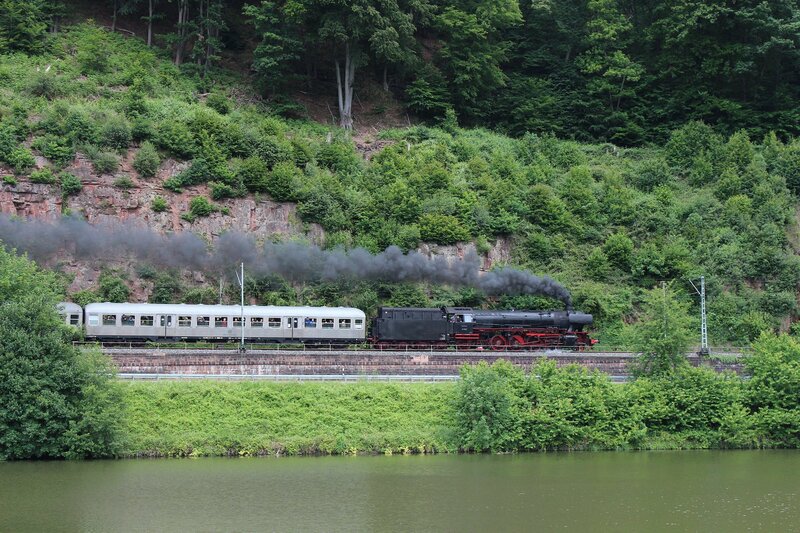 Around 25,000 passengers travelled on the 70 steam hauled services during the event according to the organisers, though the overall number of visitors must surely be substantially higher when you take into account the numbers spread across the lineside (noticeably larger than at a similar event in 2009). Although I didn’t ride on any of the trains myself I had great fun getting around by train to photograph them from different spots. 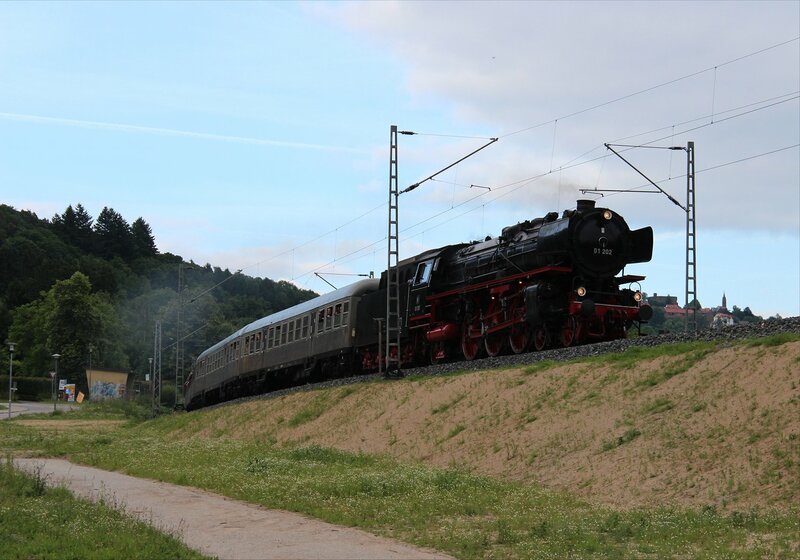 A degree of madness was involved, particularly travelling for two hours one morning to get to one location just to see a steam hauled service pass by in four seconds flat. The photographer in me considered that an entirely justifiable cost, but I could understand why this view was not universally shared! I had proposed the trip to my better half as a balance of scenic countryside, beautiful historic buildings, good food and a few steam trains… but the balance seemed to have entirely disappeared by the fourth day of the event. Oops. 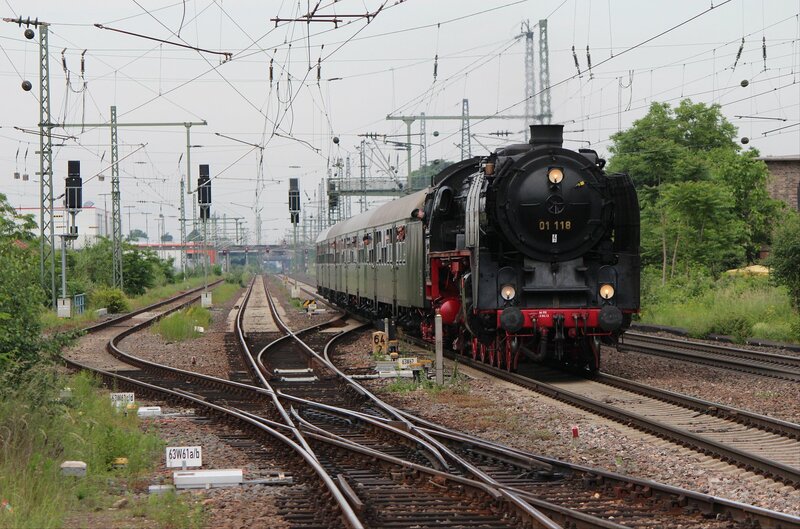 It is hard to pick individual highlights, but the sight of 41 360 (standing in for 01 150) on the PostZug from Neustadt to Heilbronn was rather special. 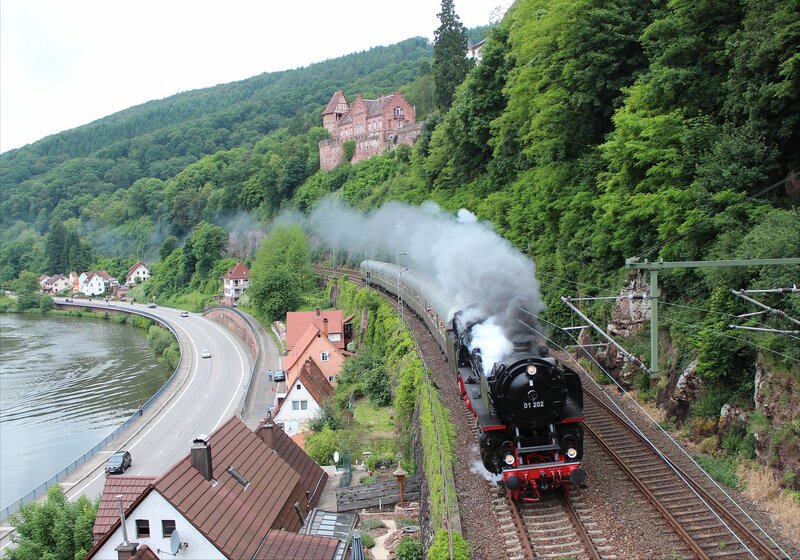 I stood on the bank of the Neckar at Hirschhorn and watched the locomotive emerge from the tunnel below the castle, head past my viewpoint and disappear round the bend in the river. Simply superb. 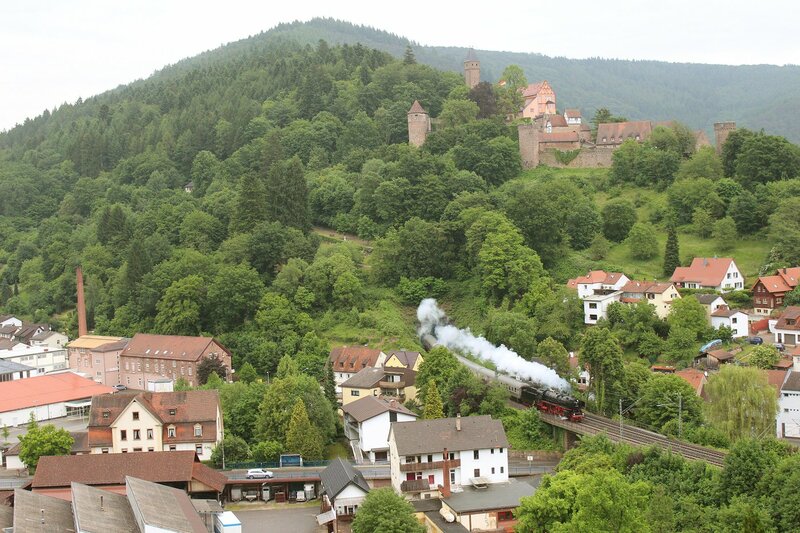 This was closely rivalled by the sight of a class 01 Pacific steam locomotive charging through the Neckar Valley, under the impressive bulk of Zwingenberg castle. Not everything went to plan – there were a few occasions when the ‘local scene’ I had anticipated had been entirely covered up by ‘local vegetation’ since the plandampf five years ago. Nevertheless, such moments could usually be rescued with a bit of creative (if a little frantic) thinking. The most surreal moment came from an early sunday morning trip to Edesheim, catching an early morning train and walking down a farm track to a ‘quiet spot’ and finding ten photographers already waiting with an hour to go. I suspect that you could have turned up at any viable spot along the line, however remote, and encountered the same situation. 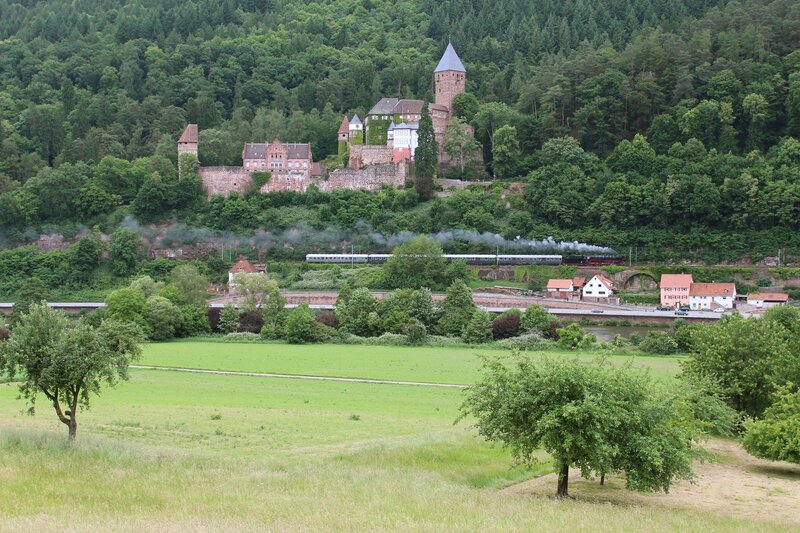 After the morning’s two express trains had passed you could see photographers wandering in from across the landscape of vineyards, farms and villages – turning the subsequent local train into something of a commuter service for rail photographers! 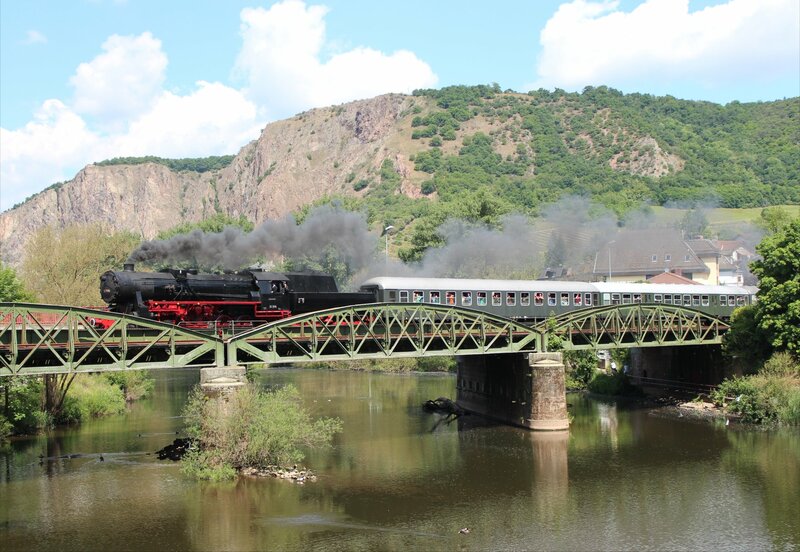 If this is to be the end, then there can be no better note to finish on than with the sight of a fleet of steam locomotives hurtling through the vineyards of the Pfalz or along the beautiful riverside route through the Neckar valley. Thank you to all the organisers, drivers and volunteers who made this wonderful treat possible.